Anna and Nathan were one of my very first wedding bookings, entrusting me in the early days of my business with capturing their beautifully natural day in Belair National Park. Over the years as they’ve added their lovely boys to their family, we’ve done some newborn shoots and I feel so grateful for their support. 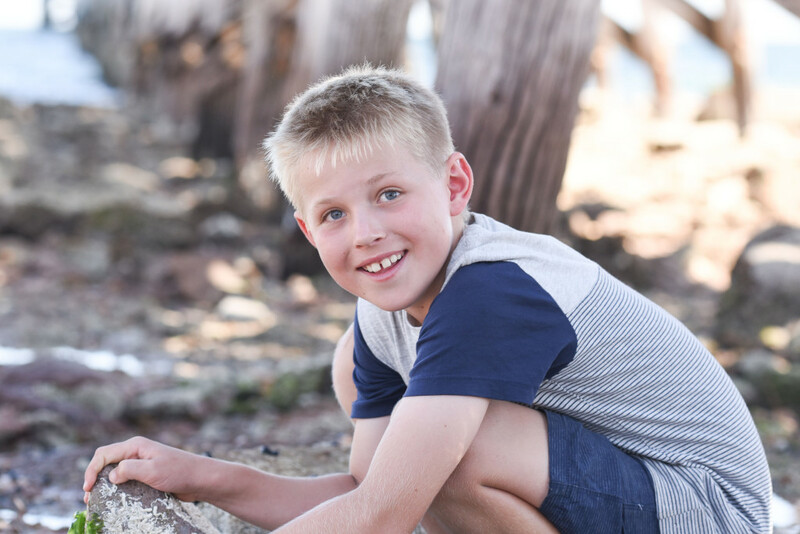 In the Autumn of 2017 we had a fun session around their home in Kadina, and then out to Port Hughes for some splashy fun and exploring under the jetty! Having a jetty nearby in order to have some shade options is great, particularly if it’s a really bright sunny day. The kids loved exploring the rock pools and it’s brilliant when you can wrap up a session with some fun in the water and everyone can let loose! Please check out my families portfolio for more examples of my work. Stangate House Wedding Here's a few samples from the day... . The Kain Family I often start with the kids during a big shoot like this as they are usually the . White Shirt Day Here's the gang below and you might wonder why they all chose to wear the same colour... .